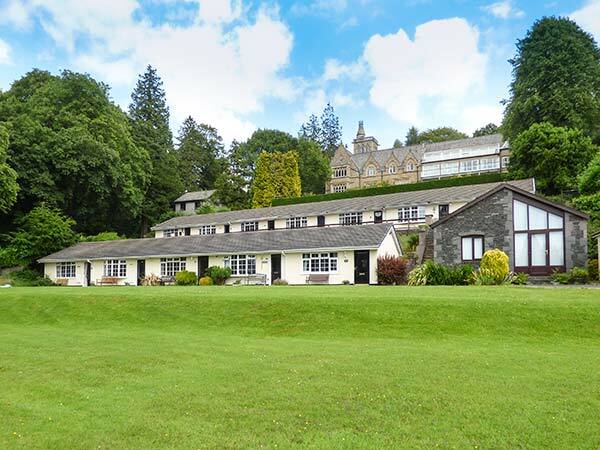 Priory Ghyll is a delightful, mid-terrace, ground floor cottage, situated on the shores of Lake Windermere and just a short walk to the lovely town itself. 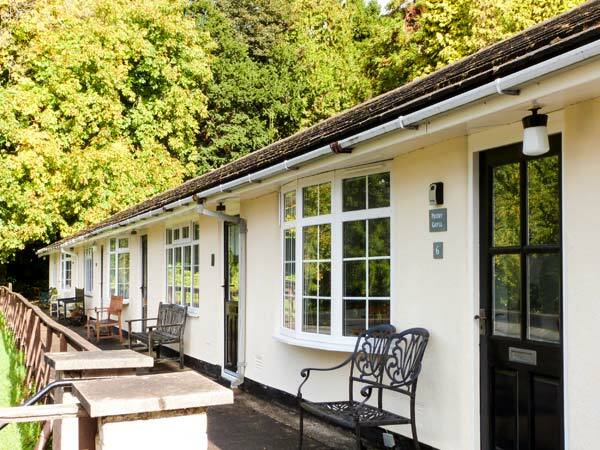 The cottage can sleep four people in one double room, a twin room, and a shower room. There is a social open-plan living area with a kitchen, a dining area and a sitting area, and outside, off road parking for two cars and an open terrace with seating overlooking the lake. If you are looking to explore the Lake District, relax, and simply escape the hustle and bustle of everyday life, Priory Ghyll is the cottage for you. All ground floor. Two bedrooms: 1 x double, 1 x adult bunks. Shower room with shower, basin and WC. Open-plan living area with kitchen, dining area and sitting area. Electric heaters. Electric oven and hob, microwave, fridge, TV with Freeview, DVD, WiFi. Fuel and power inc. in rent. Bed linen and towels inc. in rent. Off road parking for 2 cars. Terrace with bench, plus access to shared lawned area. Sorry, no pets and no smoking. Shop 8 mins walk, pub 12 mins walk. Note: Access to the car park is via a steep drive. Note: Access to lawned garden is via steep stairs. Note: Direct access to lake, children to be supervised. We also have details of 129 other similar properties nearby which might suit you.